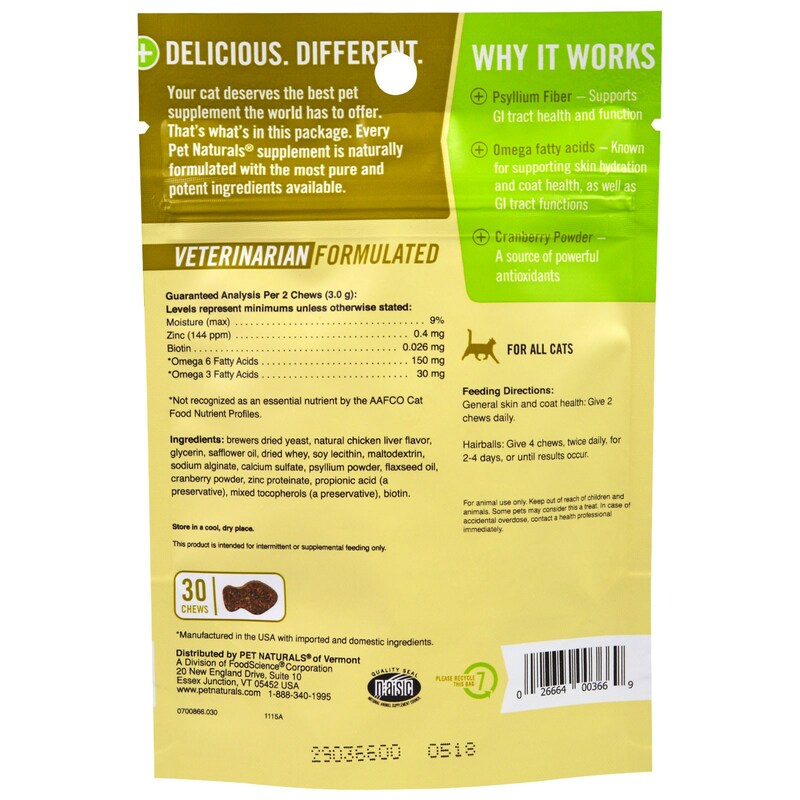 A bite-sized chew to support healthy skin, coat and GI tract. Your cat deserves the best pet supplement the world has to offer. That's what's in this package. Every Pet Naturals supplement is naturally formulated with the most pure and potent ingredients available. 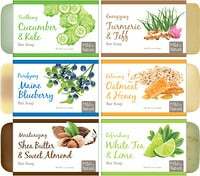 *Manufactured in the USA with imported and domestic ingredients. 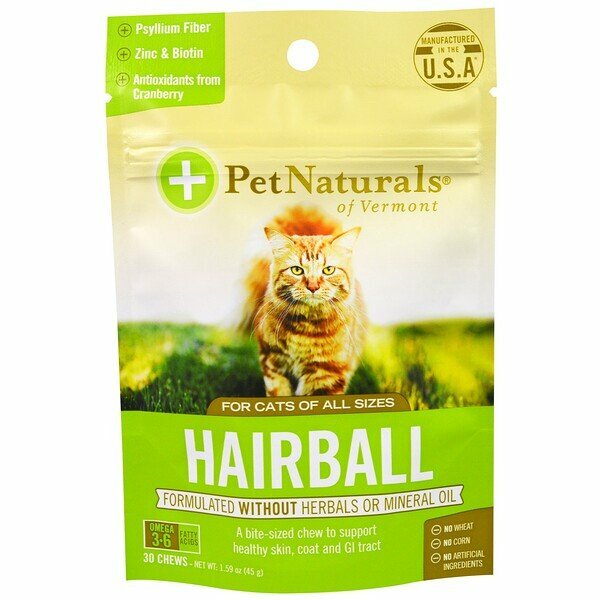 Hairballs: Give 4 chews, twice daily, for 2-4 days, or until results occur. Brewers dried yeast, natural chicken liver flavor, glycerin, safflower oil, dried whey, soy lecithin, maltodextrin, sodium alginate, calcium sulfate, psyllium powder, flaxseed oil, cranberry powder, zinc proteinate, propionic acid (a preservative), mixed tocopherols (a preservative), biotin. For animal use only. Keep out of reach of children and animals. Some pets may consider this a treat. In case of accidental overdose, contact a health professional immediately.